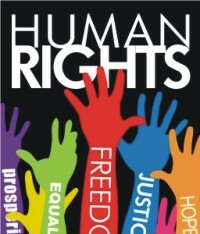 Odhikar defends civil, political, social, economic and cultural rights of the people and as part of its mission, observes reports and analyses the human rights situation of Bangladesh. In line with this campaign, an account of the human rights situation of Bangladesh covering the period of October 01 October 31, 2010 have been analysed and here are some of Odhikar's recommendations. The government needs to act immediately and responsibly to stop political- violence as this form of violence. Proper and lawful measures need to be taken against those responsible for, and involved in political-violence. The judiciary needs to be kept independent and free from party influence. The incidents of usurpation of land by the army in Rupganj and the running over of civilians by a train in Sirajganj, need to be investigated independently and proper action needs to be taken against those who are responsible. The case filed against thousands of anonymous individuals needs to be withdrawn. The issue of human rights violations at the borders needs to be raised at talks between Bangladesh and India. Trespassing illegally in to the land of a sovereign country, purposefully shooting its citizens without any provocation on their part are serious breaches of International and Human Rights laws. The Bangladesh government needs to take efficient and urgent steps to stop the trespassing and killing of civilians by the BSF at the border. It also needs to adopt measures to ensure the safety of the citizens who reside near the border. Also, proper investigations need to be carried out into the shooting and killings conducted by the BSF, those responsible must be given requisite and exemplary punishment, and the families of the victims of violence at the border need to be compensated by the Indian government. Communities struggling to attain self-determination need to be treated with compassion and political sensitivity as well as in line with the international norms and covenants. An independent commission, to investigate into extra-judicial killings, needs to be set up and those responsible for such crimes need to be brought to justice. Transparency and accountability must be ensured in the trials of those accused of the BDR mutiny. The government needs to protect the rights of religious minorities and needs to ensure safety of their life and property. The government needs to take proper steps to bring a stop to violence against women. The perpetrators must be brought under the ambit of law, properly judged and punished. The government also needs to play a responsible role in assisting the victims to take requisite legal actions. Human rights, Women's rights, Laws for the Prevention of Violence against Women and Children need to be incorporated into the curriculum of primary and higher-secondary education. The substantial reasons behind why men go astray and resort to committing violent acts against women and children need to be identified. The Government must immediately stop patronising its student and youth activists who have committed grave offences. Such patronisation can only encourage extremely serious future repercussions. Source: Odhikar Human Rights Monitoring Report, 01 31 October 2010.